Paul Jeselskis has developed a line of functional and decorative porcelain pottery. His work has won numerous awards and is widely recognized across the United States. He shows at art fairs throughout the Midwest, and in Colorado and New England, and is represented in over 40 stores and galleries. Paul first forms his work on a potter’s wheel and then carves and manipulates the surfaces. He uses a high fire porcelain clay body that he has developed, along with a variety of bright colorful glazes that are easy on the eye and durable. Paul fires his work in one of several kilns that he has built. These include gas and electric. Unwilling to be confined to one medium, Paul is also involved in furniture design, painting, photography, and sculpture. He finds it important to keep his work fresh, and each medium stimulates the others. 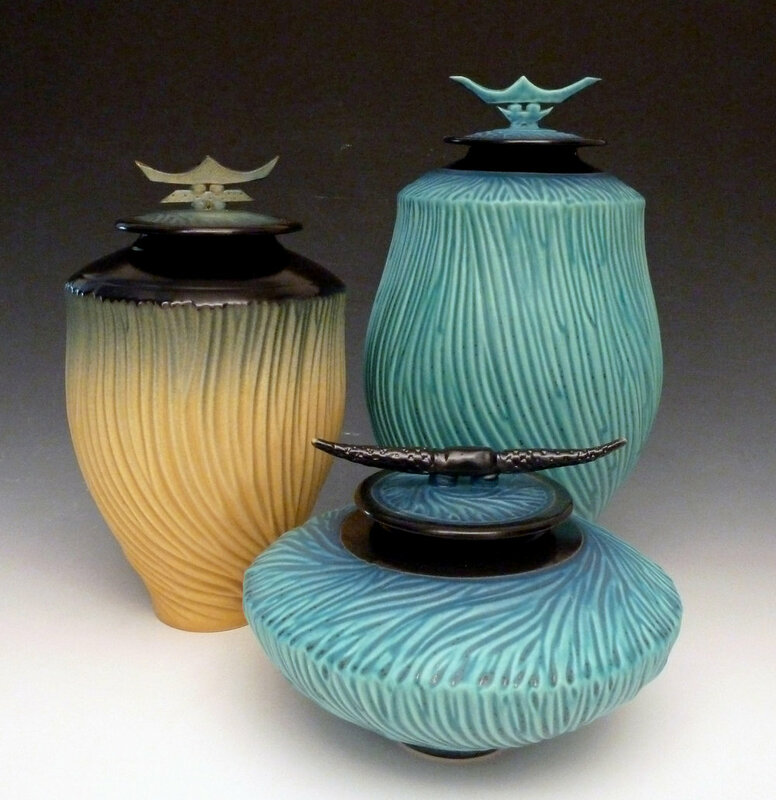 Paul earned an MFA in Ceramics from Edinboro University of Pennsylvania in 1987 with a minor in painting. After completing a residency at Millersville University of Pennsylvania in 1988, Paul moved back to the Chicago area in 1989 to set up a studio in Michigan City, Indiana.